Vis, P, Bekker, R, & van der Mei, R.D. (2014). 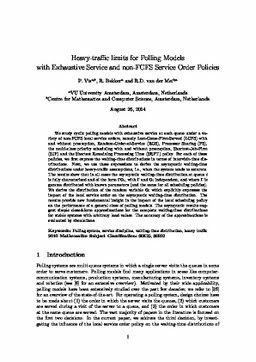 Heavy-traffic limits for Polling Models with Exhaustive Service and non-FCFS Service Order Policies. Stochastics [ST]. CWI.